KOYENIKAN Margaret Joke has the following academic qualifications: BSc (Hons) (1986) and MSc (1995) in Agricultural Extension Services, both from University of Ibadan; and PhD (2003) Agricultural Extension from the University of Benin, Nigeria. After the mandatory one-year National Youth Service Corps (NYSC) at Directorate of Food, Road and Rural Infrastructure (DFFRI) in Barkin Ladi LGA of Plateau State in 1986-1987, she was employed as Agricultural Officer I at the Projects Coordinating Unit (PCU)/ FMARD Regional Office, Benin- City in 1990. At the PCU, she rose through the ranks to Principal Agricultural Officer/Regional Coordinator Extension/Coordinator-Women-In-Agriculture (WIA), working in various programme implementation reviews, supervision, training-of-trainers, backstopping and facilitating several participatory community planning/ rural appraisal exercises. 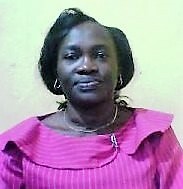 She joined the service of University of Benin, Nigeria in 2009 as Lecturer II and is presently a Senior Lecturer. She has been involved in undergraduate and postgraduate teaching, research and administration and has published over 25 journals articles. African Forum for Agriculture Advisory Services (AFAAS) and Global Forum for Rural Advisory Services (GFRAS) -2015 to date. Association for International Agricultural and Extension Education (AIAEE)- 2010-to date. Agricultural Extension Society of Nigeria (AESON); 2001 to date. Organization of Women in Science for Developing Countries (OWSD); 2011-date. Her specializations are in extension administration and human resources development, with special interest in gender in agriculture and rural development. Dr MJ Koyenikan is from Arigidi-Akoko, Ondo State, and is married, with three children.